The Minehead hotels listed below are either in the town or we have given a rough guide as to how far they are from Minehead. We hope you enjoy your stay and find your ideal accommodation. Situated on the tranquil North Hill of Minehead, Marston Lodge Hotel has lovely panoramic views of Exmoor National Park and Somerset's rugged coastline. There is home-cooked food and free Wi-Fi. 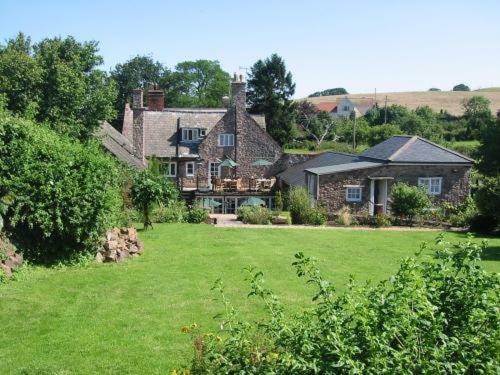 With magnificent views of the sea and the hills of glorious Exmoor, this small, family-run bed and breakfast is set in its own well-tended gardens with an outdoor pool (unheated). This 300-year-old country house hotel provides a friendly atmosphere, good food and comfortable rooms on the edge of Exmoor. Minehead Hotel. A Victorian town house which has been recently renovated to blend modern luxury with traditional period charm. The décor is in soft shades of William Morris period colours, together with barley twist and lace. In this way we offer modern facilities, yet retains a certain 19th century elegance. For hotels accommodation in other areas near to Minehead see Watchet hotels Tiverton hotels.